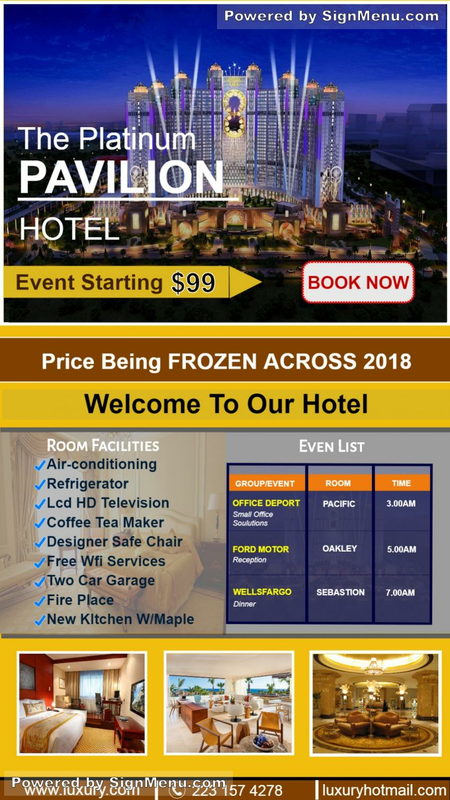 This template of a hotel with its room facilities and events calendar, is best showcased on a digital menu board and placed at the reception of the hotel. The hospitality industry has been the first to adapt to digital signage and implement them widely on their premises. Given their ever increasing events calendar complimenting their occupancy, the luxury hotels worldwide have innovated in way-finding systems and digital signage indicators. This template provides a benchmark for your actual signage board and is ready for download and use.